Guess who’s attending his first pen show? … This Guy! My hands are shaking in excitement as I type out this little post! I learned about the concept of a pen show a while back, mainly through posts on other pen blogs. I really wanted to experience what it’s like to meet/chill with people who love fountain pens as much as/more than me. It’s been on my to-do list for the longest time, and on Feb 13, I will finally be crossing it off. Over the President’s Day weekend, I will be attending the L.A. International Pen Show. If any of you are going, I’d love to meet you guys. So until then, write on. It’s finally here! Hot off the press. 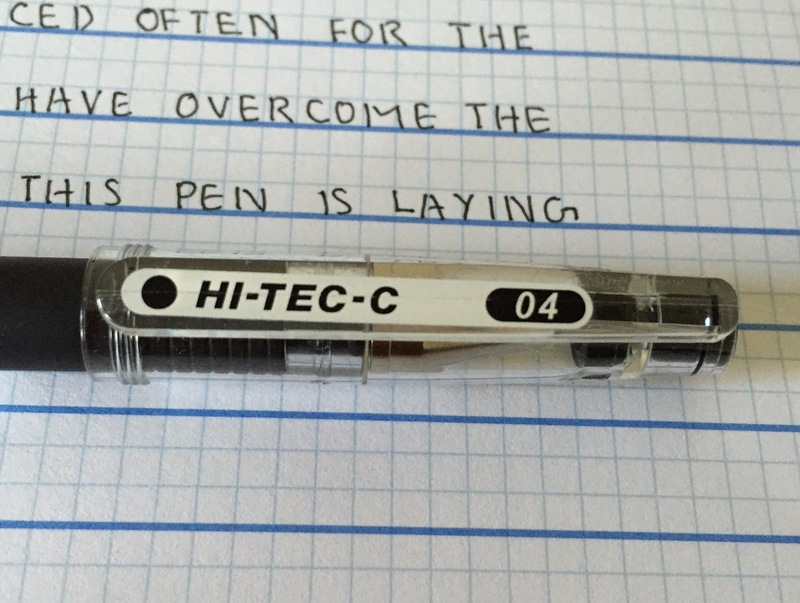 The legendary Pilot Hi-Tec-C, the pen praised by almost all my friends and pen enthusiasts out there. 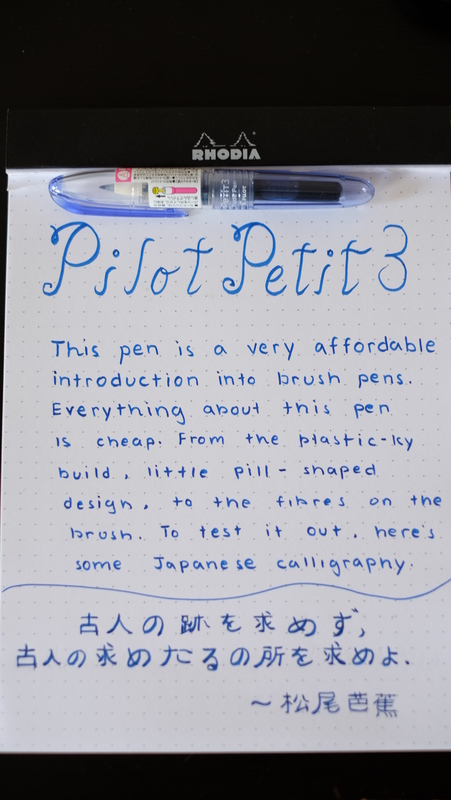 This one is another part of my JetPens haul that I couldn’t wait to try out. Surprisingly, me and this pen got off to one of the rockiest starts I’ve ever had with a new pen. 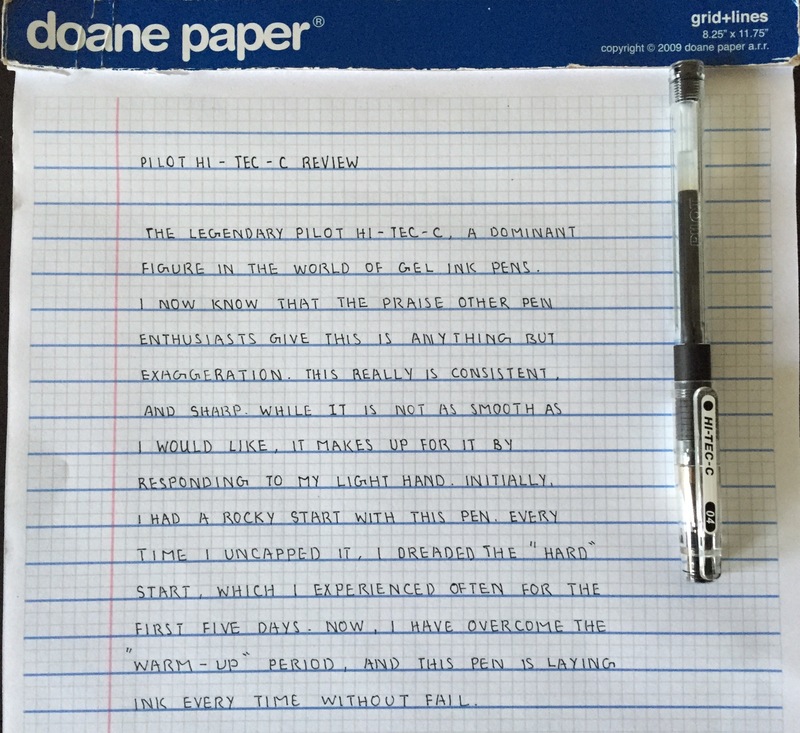 I tried writing a few words to test out the writing experience on 3 different papers. On the first one (Rhodia Dot Pad), the ink didn’t come out, so I tried scribbling for about 15 seconds, and nothing happened, so I thought maybe Rhodia paper was too smooth for this pen. Then I tried my Maruman notebook I use in school, still nothing. I finally got tired and decided to try Google-ing, my problem to see if I was the only one. I found that many people had rough starts, but it got better in a couple of minutes, so I tried one last time, on Doane Paper. Lo and behold, on my third test, it magically started flowing like the Amazon. 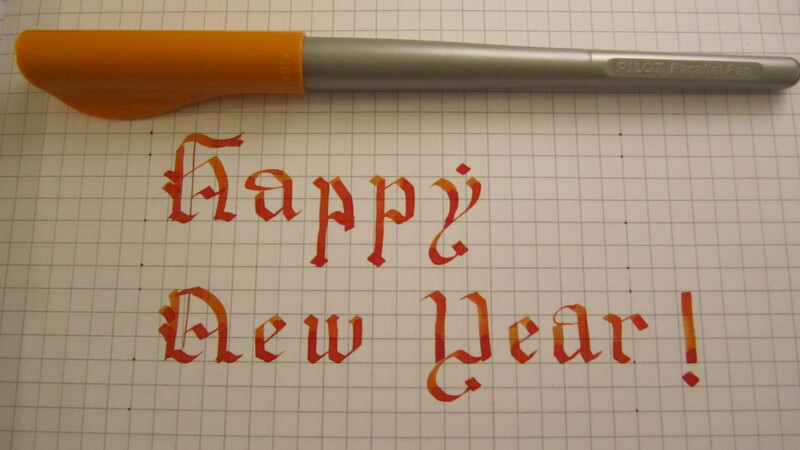 It took me a while to get used to the feel of the nib as I formed the letters, and for some reason it felt pretty weird. After an initial warm-up period, this pen is turning out to be one of the best gel ink pens I’ve tried. When I use it with a ruler (which I often do, I make a lot of charts) it produces really nice, dark, sharp lines. While I still hold the Pentel Energel XRT as my benchmark, and favorite gel ink pen, I feel the Pilot Hi-Tec-C is coming in at a close second. I just updated my list page and decided to give you a taste of what’s coming your way. Items without links are future content, and will be linked to the reviews when they are published. I finally got all of it in alphabetical order. So check it out, and wait on the edge of your seats. I have a resolution to keep up, so this year is going to be FILLED with new content. Until then, write on, my friends. Very meaningful and direct, right? That’s what I love about Abraham Lincoln’s quotes. So I thought I’d share my favorite one with you guys. At this point in my life where I’m going to college, trying to find something I’m super passionate about, this quote helps me not stress out as much. It gives me a feeling of peace, where I just think to myself “Whatever will be, will be; I should live in the moment instead of worrying about what could be.” It helps me focus on what’s happening right now, and I hope reading it in my (sub-par) Textualis Quadrata calligraphy will have a similar effect on you. I got a haul from JetPens a while back before the quarter started. I alternated using the pens for a week and wrote reviews on all of them. This was the first pen I tried out, and I have to say this is arguably one of the best in the entire haul. I have officially been converted into a gel pen user. I was initially reluctant to try this pen as it seemed to bright and plastic-y for my taste. All of that was forgotten the moment the tip touched the paper. 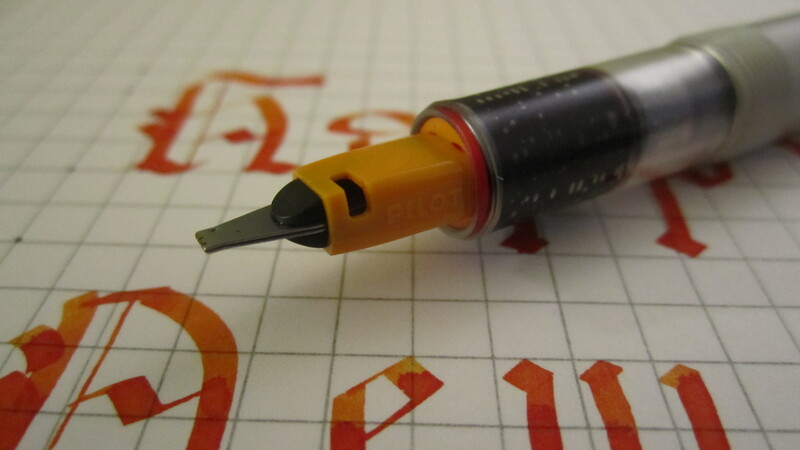 The ink quite literally glides off the nib, providing a smooth, consistent line. 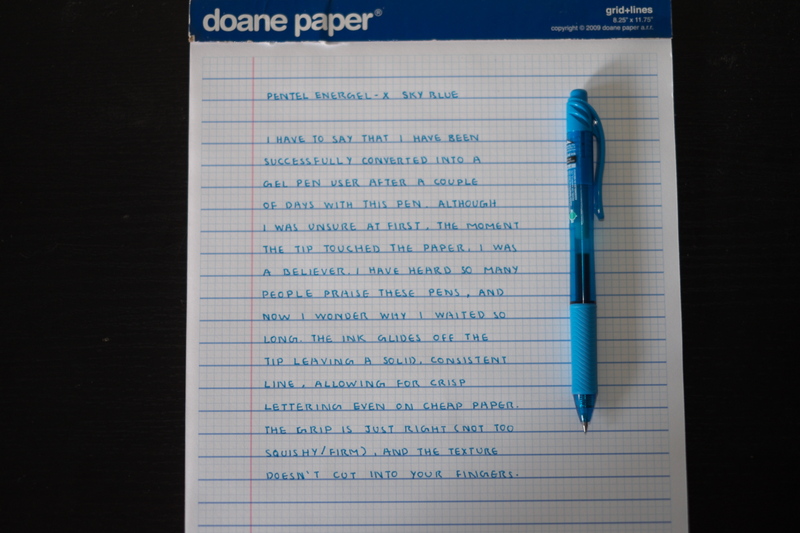 This allowed my lettering to look more crisp, even on cheap copy paper. Everything about the grip is perfect. The positioning (not too low/high), texture (not too squishy/rough), and the ridges (don’t cut into your fingers, no matter the pressure). This pen has raised the bar for my expectations, and it’s going to be difficult finding a pen that can match this one. 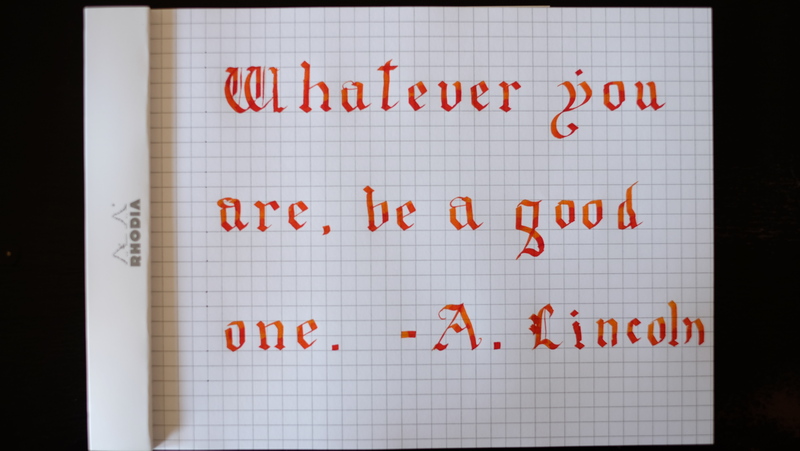 P. S. Stay tuned for a new ink review on Wednesday! 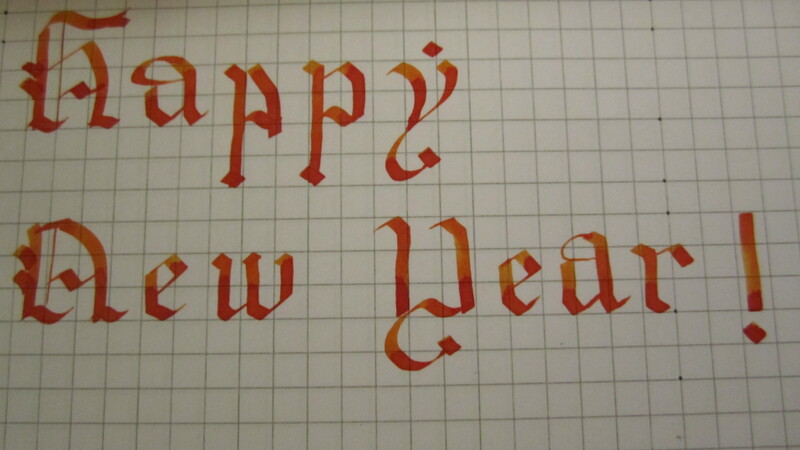 As part of my New Year’s resolutions, I have promised myself that I will be punctual with posts and will try to get at least 2 ink reviews and 2 stationary reviews every month till the end of the year. I noticed how flaky I was with my promises of new content and ink reviews, and for that, I apologize. Suffice to say, that will not be the case starting this year. While school will take the highest priority, this will be a good exercise in time management, a skill I have yet to master. I have gotten a ton of pens for Christmas, and some are still on the way. Without further ado, I declare that starting Monday, I resume my journey, with new pens, new calligraphic scripts, an open mind, and curiosity as my guide.